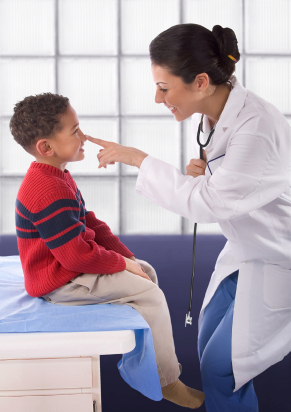 Children's Urology of the Carolinas, PLLC is committed to provide personal and individualized pediatric, adolescent, and reconstructive urologic care. We pride ourselves in a high level of integrity and availability. Our physicians mainly utilizes the inpatient and outpatient facilities at Presbyterian Hospital (Hemby Children’s Hospital), Carolinas Medical Center (Levine Children’s Hospital), and CMC-Northeast (Jeff Gordon Children’s Hospital). These three facilities house the largest children’s inpatient facilities in the region. He also has consulting and admitting privileges at Presbyterian Hospital – Matthews, Presbyterian Hospital – Huntersville, Carolinas Medical Center- University, Carolinas Medical Center – Pineville, Carolinas Medical Center – Mercy, Piedmont Medical Center, Lake Norman Regional Medical Center. Our physicians provides 24-hour emergency call coverage 7 days a week. You may reach us at the office number (704-376-5636) during working hours. After-working hours you may call our office number whereby you will be informed, by either our voice messaging system or answering service, the best way to reach us. Please remember that the doctor is available after-hours for medical and surgical emergencies. Most non-urgent medical problems and prescription refills should be addressed during weekday working hours.